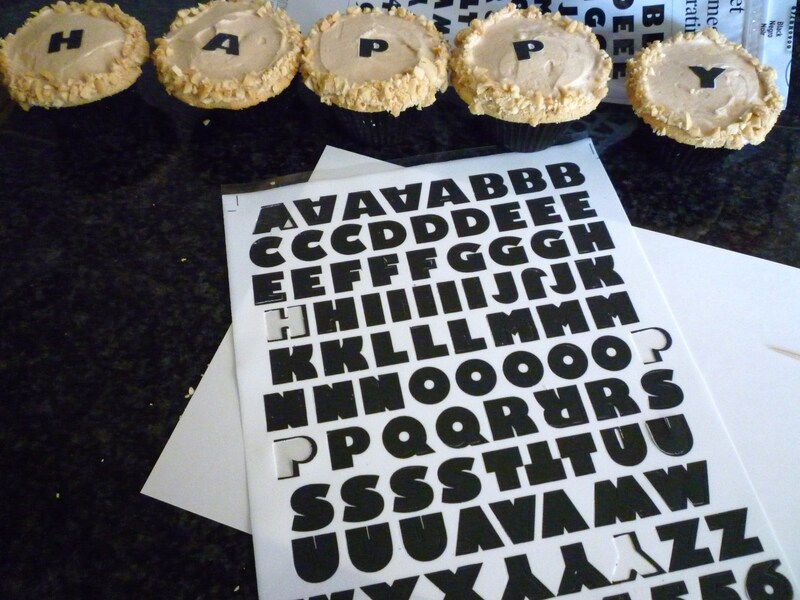 Yesterday I said that I would show you how I “wrote” on the Peanut Butter Cupcakes. Well, I cheated … I didn’t write anything. I was at Michael’s a few weeks ago … had a coupon … and found this. Wilton has a new product called “Sugar Sheets” that come in a variety of designs and colors. I chose the alphabet because I get frustrated with writing on cakes. The only problems that I encountered, was getting the white part out of the center of letters (like P and O). 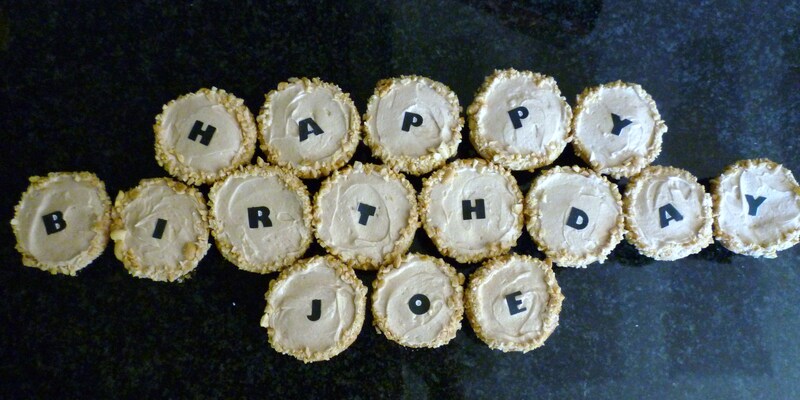 My easy solution is don’t try to remove the center … just always use the letters on white icing … LOL! 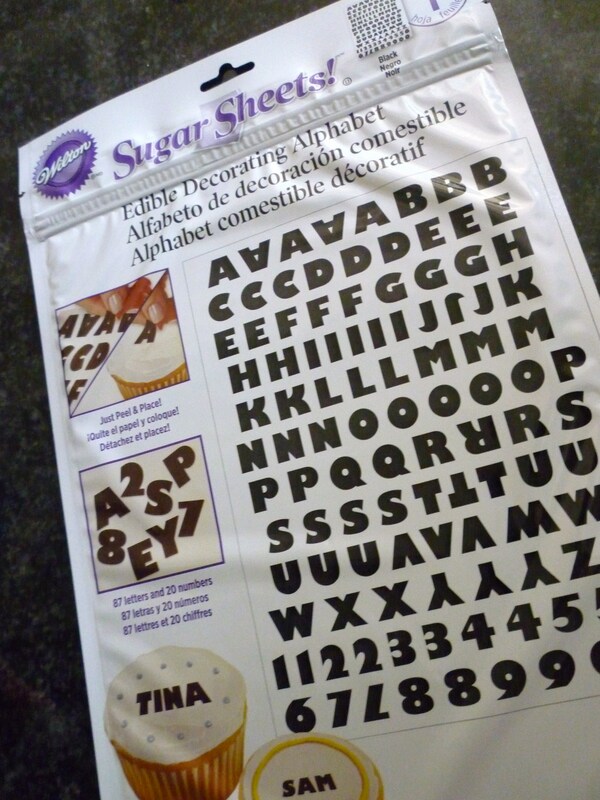 My overall opinion is … this is a nice product to use if you don’t want to pipe icing letters. I will buy this again. Ooh – I love cheating. I say work smart, not hard!! Off to Michaels I go, sadly with no coupons. But I can look at least!! I bet you will enjoy using the letters! Thanks for the tip. I don’t write very well on cakes, so this will solve my problem.